I think I’m going to do it, at least I will try it because I sure do read too little. I need to read more if I want to become a better writer. 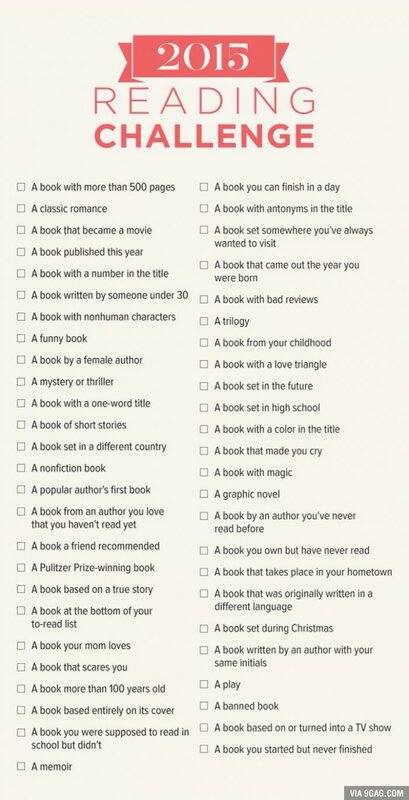 If anyone has any suggestions for books I can read for this challenge let me know in the comments? Especially the one about my hometown is going to be difficult.